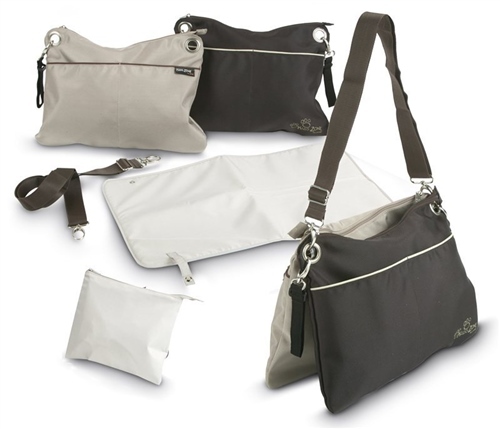 2 changing bags included which can be used on single or twin pushchairs. Multiple uses for the baby or mum. Includes multifunction straps, with a longer one to be worn across the body and also has 3 side fasteners so the bag can be used on any pushchair handlebar, even a twin buggy. Both bags can be hung from the handlebar at the same time. Both have front pockets, for nappies, a changing mat and also inner pockets.